For the time of year which is notorious for scaring others, whats more suitable than a game that revolves around Zombies? 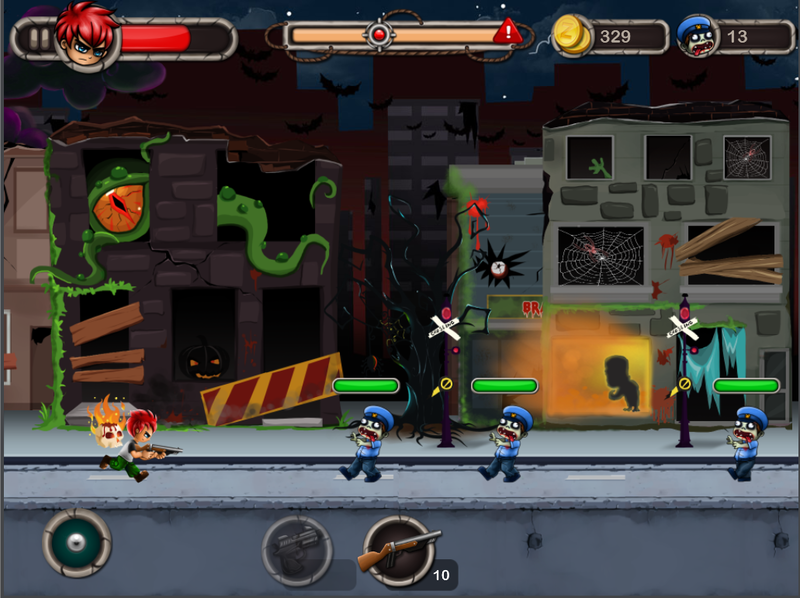 You are a lone boy in a world overrun by Zombies and all you have is your weapons and your will power to fight off hordes of Zombies as you battle through the different worlds. Zombie Combat starts at the info screen where you’re introduced to your character and his arsenal of weapons at his disposal. 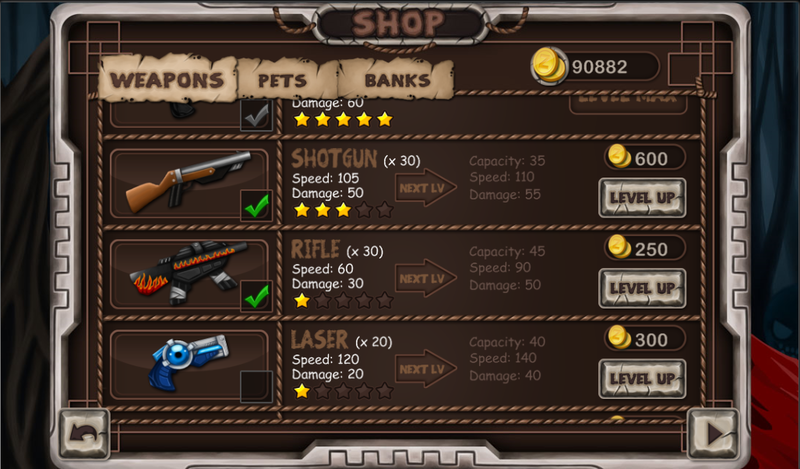 From here, the shop is accessible where new weapons and upgrades are available to spend your hard earned coins. The weapon selection is plentiful, with each weapon having it’s own upgrade path and unique characteristics that will help fight off the Zombies. 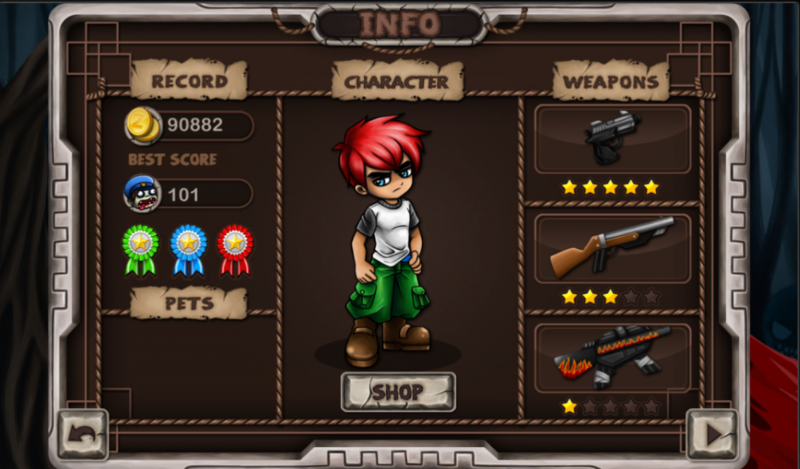 There are 6 types of guns whose power range from weak such as the Laser, to awesome like the Flame Gun. • Pistol: This is the weakest one, but it will never run out of bullets, and is pretty awesome if fully upgraded. • Bazooka: The beast of all weapons, ultra damage. 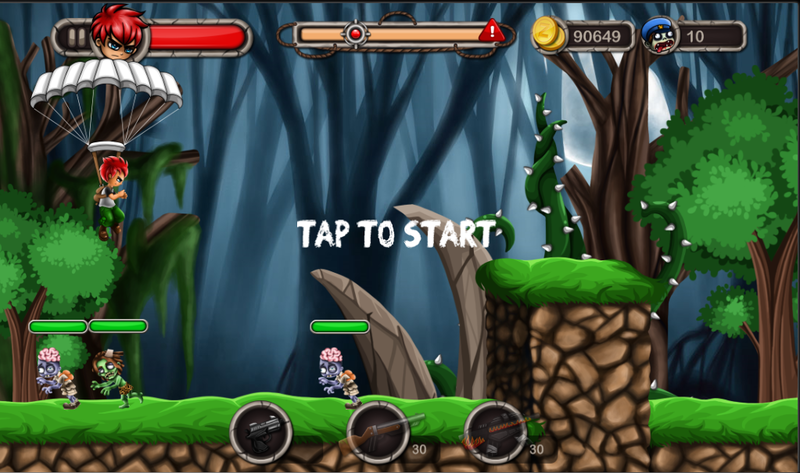 Upon entering the game, you’ll be parachuted in and prompted to tap the screen when you’re ready to start. The interface is fairly straightforward, although it took me a while to figure out how to actually jump. That’s because tapping the screen shoots from your selected weapon, whilst it’s the circle in the bottom left hand corner that is used for jumping. Alternatively, I later figured out that the entire left of the screen can be used for jumping, whilst the right is for shooting; although tapping the target yielded a better kill rate. This is probably where I’d like to see some sort of short tutorial or instruction overlay just to clarify the controls. I am a really big fan of side scrolling 2D platform games, and this one didn’t disappoint. Whilst it’s difficult to get to grips with at first, and not to mention incredibly hard, the addiction to annihilate more Zombies begins to take over. 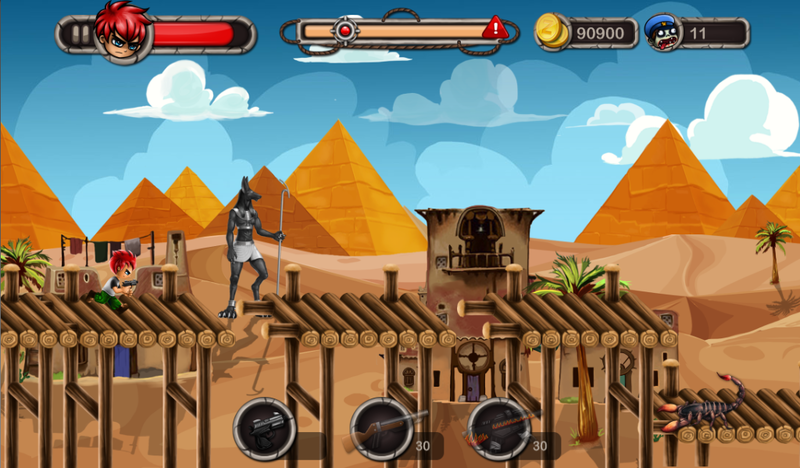 Using the variety of weapons at the disposal of your character, you can cycle through the allocated weapon of choice using the three buttons at the bottom of the screen. 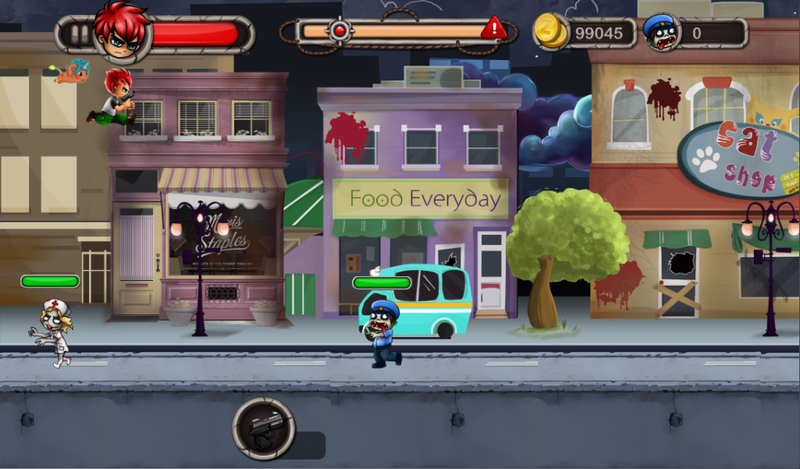 Avoiding the obstacles and shooting Zombies soon becomes second nature, but getting complacent will get you killed. 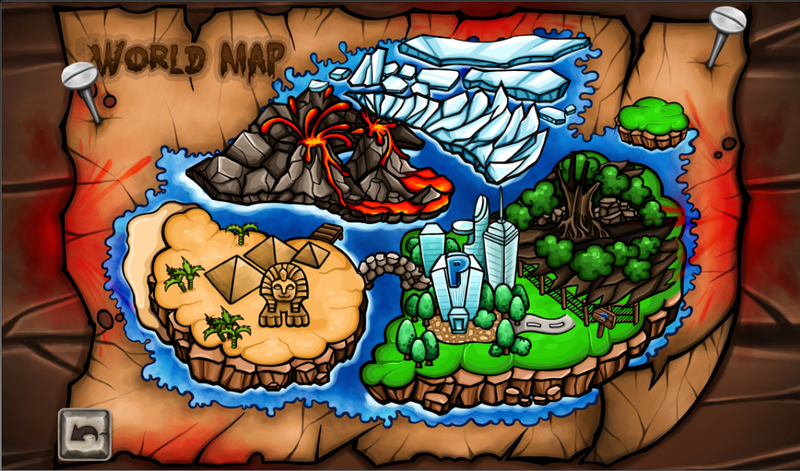 Throughout the maps you’ll collect coins which can be used to purchase items from the shop to make your character even more devastating or to unlock exclusive weapons and pets to recover HP. 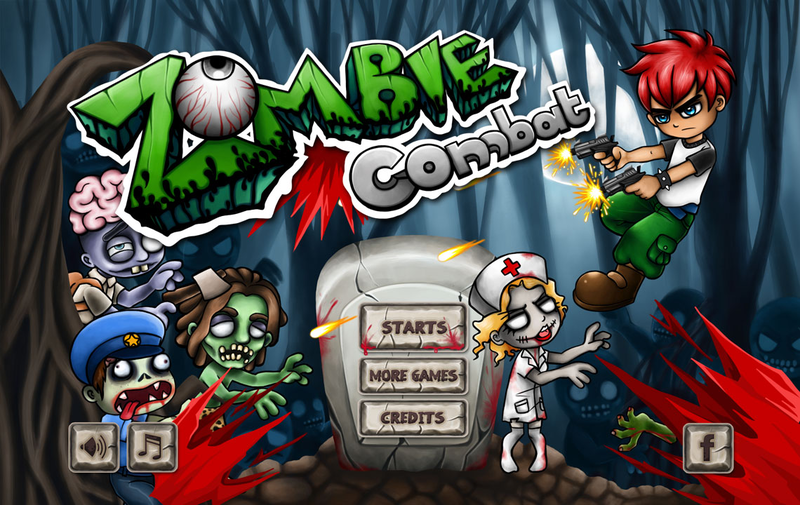 Zombie Combat is a great game that will be sure to kill a lot of time. It’s available for Free on the Google Play Store.